It’s summer. All of the regular activities are done and school is out. So now what? Here are a five fun activities to keep the kids busy, healthy and learning this summer. 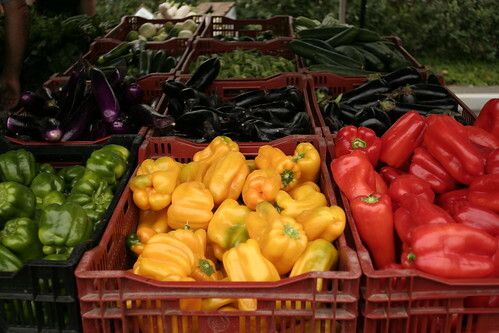 Taking weekly trips to the local farmer’s market is a great way to get outside, and teach your kids about real food. And letting your kids help pick out fresh produce is also a way to get them to eat more fruits and vegetables. Eating seasonal, local fare will really give you and your kids a taste of summer – fruits and vegetables at their peak can’t be beat. There are quite a few farmer’s markets in the area (you can search for one close to you at Local Harvest) and every Tuesday my kids hop in the wagon, and we walk to the Grandville market. We love our little walk, and we stock up on fresh produce so we can preserve it for the rest of the year. My daughter even likes to help me pick out what we buy and enjoys trying new things. And visiting the market is also a great way to meet local farmers and learn more about your community. The zoo is a fun place to get fresh air and exercise and learn about animals. John Ball Zoo is great for a quick outing or an afternoon of picnicking and fun. Memberships are also very affordable so you can enjoy it all year-long. Looking for a rainy day activity? Check out your local library! The library is a wonderful place to learn and play. There are toys, computers and of course….books. Our local libraries also offer summer reading programs with incentives for the kids to keep reading through the summer. 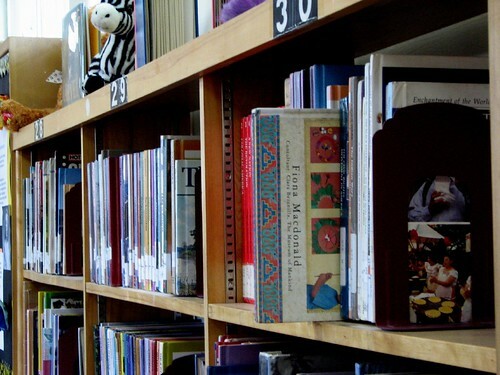 Visiting the library is a great activity for kids of all ages. And the best part? You get to bring the fun home. Check out a few (or a lot) of books and keep learning all summer long. Reading with your children is one of the best things you can do for them. Another great place for learning and never-ending fun is the Grand Rapids Children’s Museum. It has many hands on activities for a wide range of ages. The GRCM has activities all summer long (view the event list). The theme for June is Fur, Fins and Feathers. You can even get a membership to GRCM as well to enjoy it the whole year-long. The museum is even open in the evenings on Tuesdays and Thursdays. 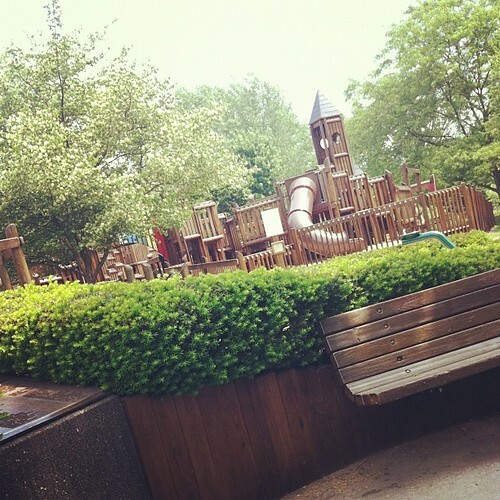 What’s summer without a trip to the park? West Michigan has a great selection of parks, so make sure you find one near you. And a walk to the park is a great way to get exercise and soak up some Vitamin D.
It is also a great place to meet with other families for socializing, so pack everyone up and enjoy company and fellowship. Summer is a great time for learning, fresh foods and lots of fun. Get out (or in!) and enjoy it. How do you stay active (and learn) during the summer with your kids?